“Congratulations to everyone involved in the making of these fantastic albums. We at Music Canada are incredibly proud to help recognize Canadian artists, their record label teams, and other individuals who have helped them reach the pinnacle of celebration and achievement in Canadian music,” says Graham Henderson, President and CEO of Music Canada. 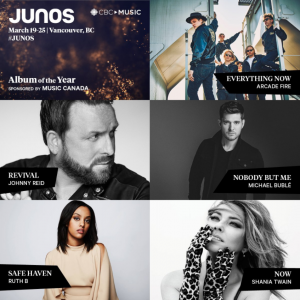 In addition to the Album of the Year, Music Canada will return as sponsor of the 2018 Welcome Reception for JUNOs weekend, happening Saturday, March 23 in Vancouver. The 47th annual JUNO Awards will be broadcast live on CBC beginning at 5pm PT and 8pm EST on Sunday, March 25. You can also watch the live steam on CBC Music’s Facebook page. 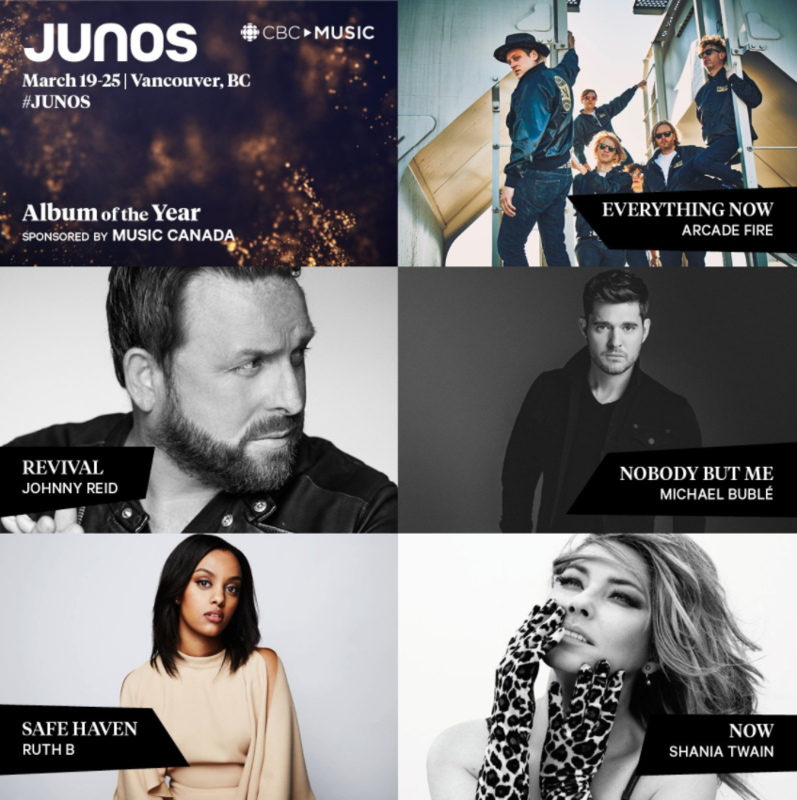 Ticket information for the 2018 JUNO Awards broadcast and other 2018 JUNO Awards events is available on the JUNOs website.